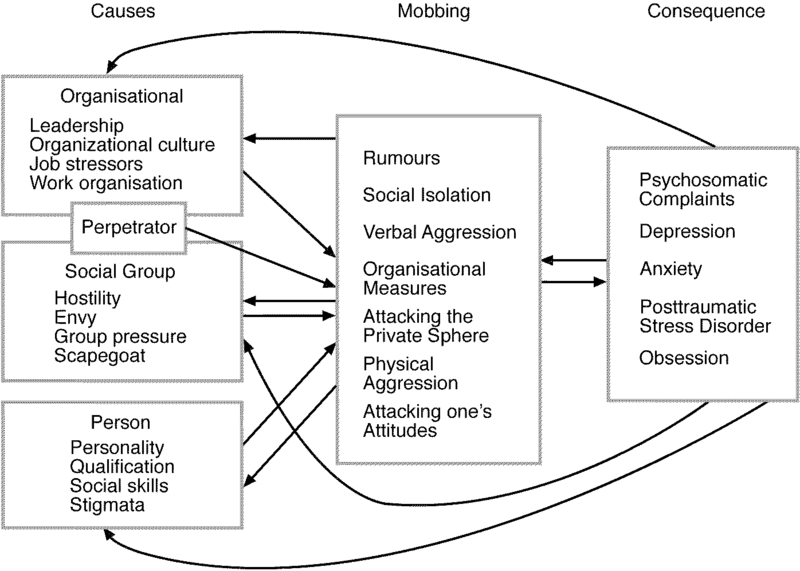 Mobbing, or group bullying in the work place, is both contagious and insidious. People who would never be viewed or view themselves as “bullies” are drawn into the fray. These formerly “innocent bystanders” can turn from seeing the aggressor as “bad” to viewing the behavior/actions of the abused as “bad”. How do they reach that point and what can be done to prevent mobbing? While these bystanders may begin as supporters of the targeted employee they may fear they will also be targeted if they are viewed as “friends” of the bullied. 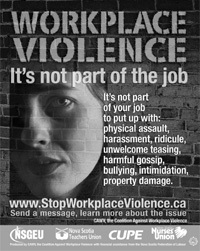 In addition if the bullied employee constantly complains about the attacks the bystander may get tired of listening, uncertain of what the truth is, and may try to stay out of the situation altogether. Patience with mobbing target may run thin. And once mobbing is underway it is virtually impossible to stop it. There are some things a bystander can do if a co-worker is being mobbed. Recognizing and understanding what is happening is a first step. Te bystander may become aware of what is happening even before the target does. Often the targeted employee may seem to acquiesce with management. This is usually a way of avoiding confrontations. He/she may willingly sign written warnings, suddenly be late to work, or miss days due to illness (stress). This only enhances the perception the target is at fault. However she may be concerned she will not get a positive reference if she leaves for another job, may be older and has concerns about finding another job, or worried about losing the job and benefits that go with it. Co-workers may initially believe the employee is being paranoid and imagine they are being targeted. 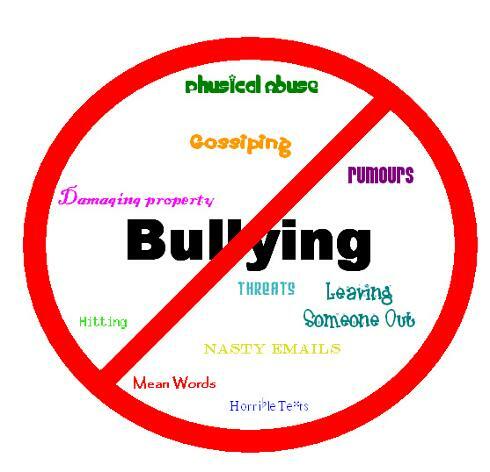 As the bullying escalates the bullied may begin to share personal information and grievances with co-workers, information that is potentially dangerous to her case. 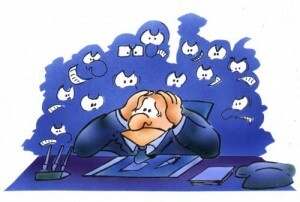 The employee may express anger and speak of taking action against management. This will further alienate the co-workers who are watching from the sidelines. Fearful of the repercussions of any support or involvement they may begin to agree with the bully. After all, this employee is exhibiting signs of instability and management is simply trying to keep control of the workplace. Gossip and shunning may ensue. Bystanders may be drawn into investigations with questions and reports secretly being asked of co-workers. Realistically the response of the target is not unusual. Desperate to defend herself and feeling singled out she seeks support from co-workers who may have been her friends prior to the bullying. Logically if management really had evidence that would justify dismissing the target they would do so. Instead they are building a case against the employee and using other staff members to help them. The targeted employee will be faced with false accusations, excessive examination of e-mails and computer activities, poor evaluations, gossip, demotion or suspension among a variety of actions. This will reinforce the perception the bullied is in the wrong. Other workers may receive unexpected promotions, raises, or even replace the targeted on committees or in positions of authority. It is very likely those that reap benefit from the activity have betrayed the co-worker either by agreeing with accusations or providing accusations of their own. The target will also suspect the betrayal and that will only exacerbate her suspicion of other co-workers. Obviously this increases the tension and stress felt by the entire staff. If management suspects any co-worker of possibly joining with the targeted worker in a lawsuit due to similarities in their situations (age, race, gender) they will most likely make special overtures to these co-workers in order to prevent any unity. Using terms such as “I’m worried about X” or “Have you noticed X acting differently? Is everything okay?” Expressing concern for the target is an insidious way of drawing an innocent bystander into the situation. Be wary of these overtures. First off it would be inappropriate for a manager to discuss another employee and secondly it would be inappropriate for a co-worker to reveal information that may have been shared in confidence. A simple response like “I hadn’t noticed” or “If you think there is something wrong you should probably ask her”. 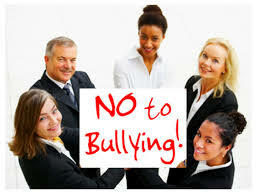 A bully knows instinctively a friend or co-worker will want to help and will view sharing a confidence as a good thing. Another co-worker may approach with “Have you noticed X seems tired/angry/depressed lately?” This is how gossip gets started. It may be followed with, “I hope she isn’t having problems with her husband/child/health”. Before it can be realized gossip will be circulating that may have no basis in fact. This can then be attributed to the targets poor job performance, tardiness, or absenteeism adding to management’s attacks. Unfortunately when an employee is being mobbed the most outrageous stories may be accepted as fact. 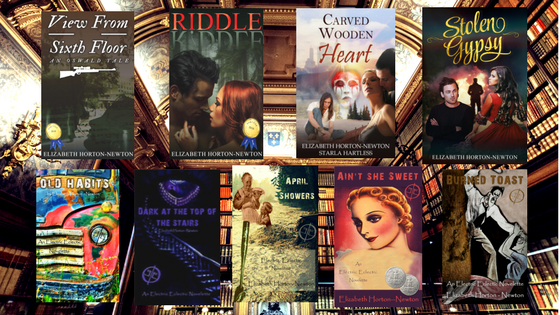 It’s rather like a game of telephone where the story grows larger and more absurd with each telling. No one is likely to confront the targeted worker with these stories since it would be viewed as rude or inappropriate. This is ironic since the story will circulated freely behind the employee’s back. 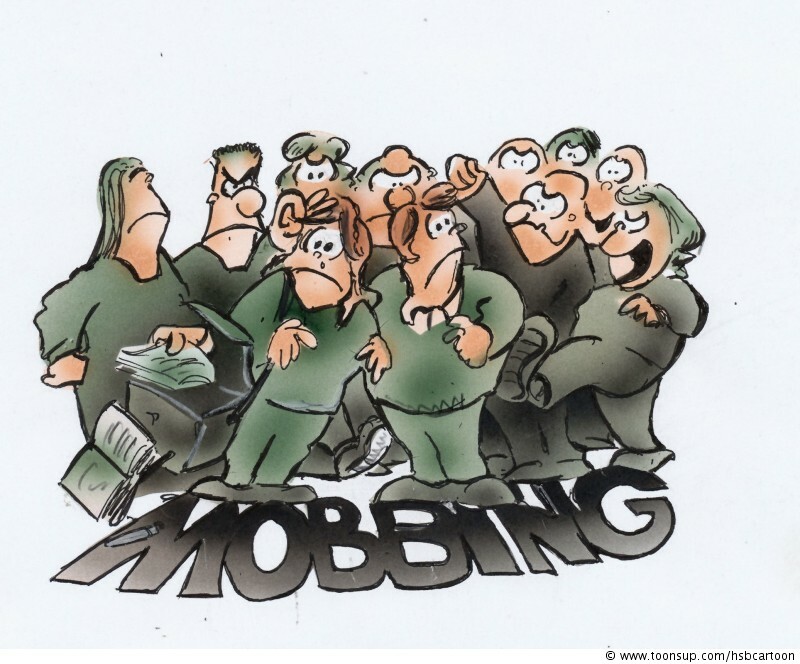 What can be done about mobbing? How do you respond to mobbing? Remember you do not have to be a part of this. You can refuse to discuss the situation with ANYONE. Do not listen to gossip. Simply state it is none of your business and you prefer not to be involved. If the target has been a close co-worker you might want to let her anonymously that something is going on. Be careful not to say anything that would reveal your identity but a note on her desk or on her car would give a heads up that all is not well. Don’t be drawn into the situation by believing gossip or rumors you may overhear. 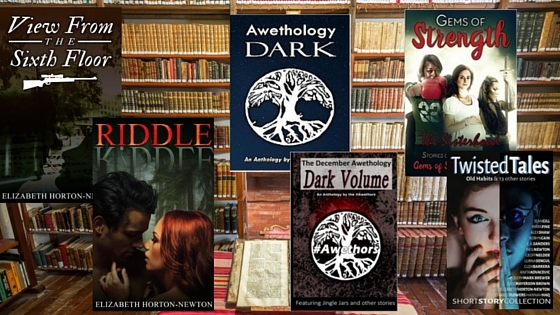 Whether the stories have any truth or not, this is not your business. Don’t hesitate to let the target know that you are not involved in the mobbing. Make it clear that you do not mix your professional/work life with your personal life. You can suggest she look up mobbing or workplace bullying online. Avoid giving advice. It is possible to be empathetic and express concern without becoming part of the disaster. The co-worker may be upset with you but if you make it clear you are not engaging in any gossip and are not spreading rumors that should help. While you may be disturbed by all the negativity understand that other than removing yourself from the situation there is little you can do. It is in your best interest to ride above the conflict. Neither side will be happy about that but on the other hand, neither side can drag you into a situation which has not to do with you. 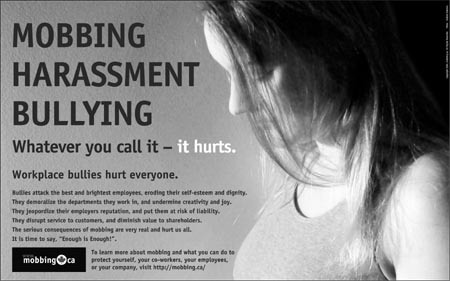 Bullying has no place in the work environment. No one can say how they would respond in these circumstances. If the situation becomes truly intolerable you might think about finding another job. Sooner or later the negativity may impact your ability to do your job thoroughly. It would certainly be a last ditch effort but stress at work can spill over into your personal life and affect your health. Only you know how much you can handle.